List Price 2.00лв. VAT Incl. 1.90лв. VAT Incl. 1.80лв. VAT Incl. 1.70лв. VAT Incl. 1.60лв. VAT Incl. Volt / mA Calibrator (V / mA ) MS7221, 0-24mA, 0-10V MS221 Measure loop current with very high accuracy /resolution, measure voltage output process signals from PLCs, transmitters. This Calibrator is used to measure or output 0 to 24 mA DC current loop, and 0 to 10 V DC voltage. But the calibrator cannot be used for measurement and source simultaneously. 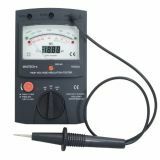 Electronic Multimeter MT6S / 2, Brennenstuhl, pen style, 1297150 Handy electronic multitester MT 6S/2 from german brand Brennenstuhl used for conductivity measurement, phase check, zero and grounding of contacts, wires and more. 3 replacable coin cells included. Mains tester type straight screwdriver 220/380VAC Voltage tester 220/380 VAC. 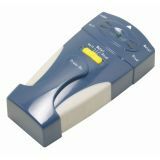 Universal tester UHH-400 Universal tester for AD/DC. 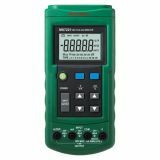 Digital multimeter MS5215 Portable digital high voltage insulation tester MS5215, insulation resistance up to 5 TOhm and test voltage 5000 V. The device checks the insulation of high voltage electrical equipment - cables, transformers, electric motors and others. MS5202 Analog/Digital Insulation tester, 2500V, 100 GOhm, MASTECH Checking the insulation with handheld MS5202 of high-voltage electrical equipment electric motor, transformer, and cable, etc. Range 100 GOhm voltage 2500V. Wire cable tracker/ link tester MS6812, MASTECH Handy and useful link tester tool MS6812 from MASTECH for both professional and hobby wire tracking. It is suitable for telephone network wire cable tracking, identifying broken cables, wires, metal pipes. In the package: two devices - toner and probe. Circuit tester 6-24v with cable 6 - 24 V power cable with cable. Used to measure the voltage of the electrical system of vehicles (cars, trucks, buses, trucks), it can also be used as a classic test case for constant and alternating voltage up to 24 V.
MS8902A Non-Contact AC voltage detector 12V - 600V, MASTECH MS8902A is a pocket size non-contact AC voltage detector from MASTECH designed to easily locates invisible AC line and break point from 12V - 600V. Sound and light instructions. Auto power OFF. Ideal and handy for home use withe pen type shape. The tester comes with 2 x 1.5V (AAA) batteries. Non-contact metal detector, non-metal and voltage, WMV Plus, Brennenstuhl, 1298180 Opportunities for detecting live cables, metal pipes, fittings, cables or wooden beams behind paneling, parquet or plaster. Proximity Detector of metals, non-metals and voltage NT6351 The detector detects metal pipes, cables, wooden stud behind the paneling, playwood and others up to 20 mm thick. Socket tester MS6860D european standart Equipment for professional and quick check of shuko-type contacts and European standard, LED status indication. 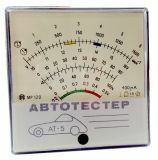 Analog battery tester, W 2654, 6/12VDC, 100A Battery tester analogue W 2654, 6/12VDC, 100A. Digital battery tester, 12VDC, 125A, W2658 Digital battery tester W2658 12VDC, 125A. It is used for battery momentous status check. Voltage tester 6890-61, 2in1, 3.5-400V Voltage tester with range from 3.5 to 400 V. The tester recognizes the (+) and (- ) of the DC voltage . List Price 4.90лв. VAT Incl. 4.41лв. VAT Incl. 3.92лв. VAT Incl.